Founder and CEO of ATA Associates, Mr. Swint spent twenty-five years with the NASA space program before turning his skills and attentions to accident reconstruction. His activities with NASA included extensive work on both the Apollo and the Shuttle programs, including the position of lead project engineer for the shuttle avionics integration laboratory. He also received the Apollo 13 Presidential Medal of Freedom Award. 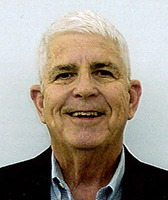 Since founding ATA in 1974, Bob has worked on over 5900 cases and is recognized as a leading reconstructionist in the trucking industry and has lectured nationally on trucking safety and accident prevention. He and his engineering firm have provided litigation support for many of the Top 100 trucking fleets in America. 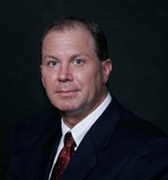 Swint also serves on several top committees of national trucking organizations. Mr. Barthelme has over 15 years experience as an accident reconstructionist, having investigated and reconstructed over 1000 cases. He is certified in commercial motor vehicle collision investigation and scientific collision investigation. He is a member of the International Association of Marine Investigators, as well as a member of the U.S. Coast Guard Auxiliary, where he is Marine Staff Safety Officer. 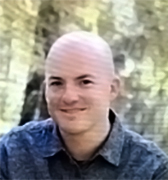 He has extensive expertise in the use and application of the FARO 3D scanner, and is a vehicle data download specialist. Mr. Vaughan has received a Bachelor of Science in Mechanical Engineering from Wright State University with a focus in design engineering. Allen has developed proficiency analyzing accidents using engineering tools such as a FARO 3-D scanner, Reality accident reconstruction software, V-Box data collector and surveying equipment. Ms. Yergin has been an accident investigator since 1994, when she went to study under forensic physicist Thomas L. Bohan, a past president of the Academy of Forensic Sciences. April has two degrees, one of which was a bachelor of science in aeronautical engineering from Arizona State University. 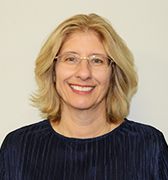 Ms. Yergin has extensive experience in vehicle systems download, dynamics analysis and computer-aided simulation tools, and is ACTAR certified. of service, maintenance, hazmat and drug testing. Dr. Andre is a professor at James Madison University. His expertise centers on visual perception and human factors. He has been conducting vision research in university settings since 1988 and has over 20 publications and 55 conference presentations and invited addresses. Dr. Andre’s expert witness consulting activities provide him an opportunity to apply his research and interests in visual science and human factors to the legal community. lighting conditions, perception-reaction time, and alcohol’s effects on vision, expectation and attention. He has represented almost evenly plaintiffs and defense clients and includes both civil and criminal cases involving driving, traffic, pedestrian, cyclist, residential, trip & fall, and boating/maritime matters. Gerry is a licensed Professional Engineer and certified Professional Traffic Operations Engineer who has specialized in traffic signal timing and operations for over 40 years. He is a Fellow in the Institute of Transportation Engineers (F-ITE) and long standing member of the Signals Technical Committee (STC) of the National Committee on Uniform Traffic Control Devices, which advises the Federal Highway Administration on revisions to the federal Manual on Uniform Traffic Control Devices (MUTCD), which establishes nationwide standards for roadway signs, markings and signals. Barry G. Dickey is the certified forensic expert for Audio Evidence Lab, a laboratory specializing in the analysis of audio/video evidence. With over 20 years of experience, Mr. Dickey has provided testimony in federal and state courts on issues involving audio, video, and voice identification. His responsibilities include audio/video authentication, digital enhancement/restoration, voice identification/elimination, speech/phonetic analysis, and transcription of evidentiary recordings. In association with The American College of Forensic Examiners, Mr. Dickey has served on the Executive Committees for both the Forensic Audio and Forensic Video Divisions of the American Board of Recorded Evidence. 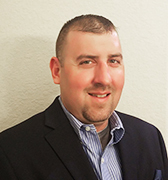 Mr. Garsee is currently a member on the Board of Directors for The Texas Trucking Association and Truckload Carriers Association’s school and education committee. 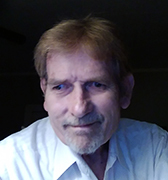 He has over 20 years experience as a professional in driver training and safety and is the Program Director for Transportation Training for Houston Community College, one of largest publicly funded commercial driver training schools in the nation with over 1,000 graduates per year. 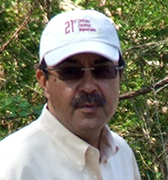 Executive Director of NAPFTDS and has held positions with the Association since 2000. 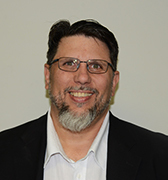 In 2015 he served on the Federal Motor Carrier Safety Administration (FMCSA) Entry Level Driver Advisory Committee to help write a proposal for mandatory entry level standards. 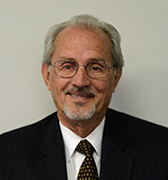 William "Bill" Gossard has 48 years of experience as a consultant in transportation safety issues. Bill has worked for the Federal Railroad Administration, U.S. Department of Transportation and the independent National Transportation Safety Board (NTSB) as well as a private sector organization called Fresh Air Educators. 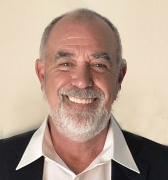 Mr. Gossard also has extensive background in the arenas of recreational boating and personal watercraft as well as being well-versed in drone safety issues. 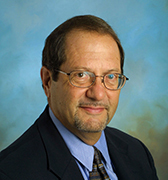 Additionally, Mr. Gossard has completed twelve national reports adopted by the five member NTSB Presidential Board - a task not equaled by any other staff member of the NTSB. Mr. Hartman, Vice President/Safety Compliance for Commercial Fleet Data Systems, has been in the commercial motor vehicle transportation industry for 30 years, spending his career serving in the capacity of law enforcement, risk management, personnel, loss control, compliance, safety, security, HSE, radiation safety, and claims and litigation matters. 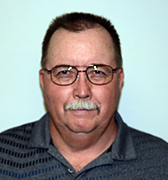 Dwight Jennings has 34 years of experience in motor fleet transportation. He has 26 years of experience in motor fleet safety of which, 21 years have been at the management level. Mr. Jennings has extensive knowledge and is qualified to testify regarding Texas DOT trucking safety regulation, driver training and education. He is a Certified Director of Safety and a Certified Fleet Safety Director. He is a past chairman of the Texas Trucking Association, Executive committee of the TMTA, Safety Management Council and the Houston Council of Safety Professionals. 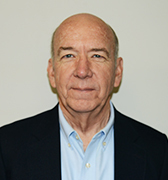 Bill Kitzes is a Board Certified Product Safety Manager and Hazard Control Manager. He has lectured at the National Safety Council Congress on Recalls, Warnings and Injury Prevention. Mr. Kitzes has testified in 130 trials in Federal and State Courts in over 30 states. Many of these cases involve risk assessment, recalls and notification to the government concerning defects that relate to motor vehicle safety for motor vehicles under the NHTSA rules and for off road vehicles subject to the CPSC. Trials have addressed ATV’s, 4-wheeled side by side recreational vehicles, off road motorcycles, motorcycle “wobble”, and failure to report unintended acceleration in a motorcycle throttle body. Vehicle cases include rollover, ball joint and brake failures and cargo securement. 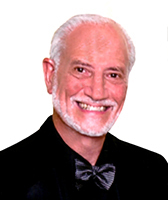 Dr. Lasseigne serves as the Chief Technical Officer of G2MT Laboratories. She has extensive experience in the fields of metallurgy, hydrogen, corrosion, and materials science and is a world renowned expert in hydrogen embrittlement and corrosion. 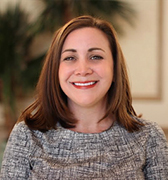 Angelique places great emphasis on taking an ethical approach to her work and has published over 90 papers and co-authored three books in the fields of welding metallurgy, corrosion, and non-destructive testing for materials characterization. She received bachelors degrees in physics and metallurgical engineering and her M.S. and Ph.D. in metallurgical engineering from the Colorado School of Mines. Mr. O’Neal is the founder of the Houston Community College Trucking School, one of largest publicly funded commercial driver training schools in the nation with over 1,000 graduates per year. He has created and authored curriculum for all areas of trucking education. 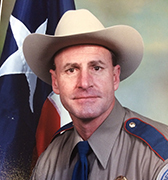 Mr. Painter has over 20 years experience working with and training Special Investigation Units. Hundreds of hours of sworn testimony. Has trained investigators on property claims investigations. He has also been involved with recalled and potential recalled vehicles, with sudden accelleration, vehicle fires. Formed the non profit Forensic Institute on Auto Theft Analysis. This organization sets the standards in forensics as it relates to reported stolen vehicles and to provides training to examiners, fire service and law enforcement. Rob also has extensive experience providing repair of theft recovered and vandalized vehicles. 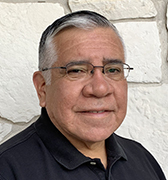 Mr. Palacios, a retired Texas Department of Public Safety Highway Patrol Sergeant, has been involved in accident investigation and reconstruction for over 30 years. These accidents included Commercial and non-commercial motor vehicle. Mr. Palacios offers a variety of specialties to include the download and analysis of data from the Bosch Vehicle Crash Data Retrieval (CDR) Tool, the operation of the FARO 3D Scanner and the use of Faro Zone Animation software. Randy Pazzaglia is a certified traffic accident reconstructionst who has been practicing continuously for nearly 30 years. He is also a certified mechanical expert who is specifically knowledgeable in areas of automotive and heavy truck steering, suspension and braking. 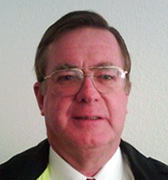 Mr. Shirey is an Analytical Chemist and the owner of Shirey Analytical Services. SAS is a material analysis consulting agency focusing on the compositional analysis of coatings/paint, elastomers, plastics and oils. Lynn's capabilities in the use of microscopes include 40X and 200X visual microscopy as well as micro-FTIR analysis. Lynn conducts root cause failure analysis of coatings, plastics and elastomers on a routine basis. Mr. Wink is a factory and dealer trained Master Diesel Technician with 17 years of experience working in the arena of heavy duty trucks and engines. Evan's capabilities include general diagnosis and repair, with focuses on electrical systems, engine repair and replacement, vehicle suspension and alignment, transmission repair and replacement, hydraulic equipment and brake systems. He is also well versed on the subject of preventative maintenance. Evan is trained and certified in the latest technology and diagnostic software and is team leader with a strong work ethic who enjoys using his vast industry experience to educate junior mechanics. Mariusz Ziejewski, PhD, is a Professor in the College of Engineering at North Dakota State University where he is the director of the Impact Biomechanics Laboratory and the director of the Automotive Systems Laboratory. 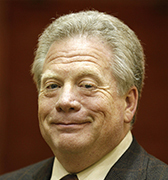 He is also an Adjunct Professor in the Department of Neuroscience at the University Of North Dakota School Of Medicine. 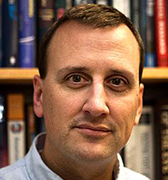 Dr. Ziejewski has performed human body dynamics research for the Armstrong Aerospace Medical Research Laboratory, Human System Division which is part of the United States Air Force. He has been a member of the National Highway Traffic Safety Administration (NHTSA) Collaboration Group on Human Brain Modeling. He has been involved in Emergency Room (ER) Biomechanical Brain Injury Evaluation, at Meritcare’s Trauma Center, Fargo, ND. 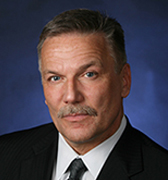 Dr. Ziejewski was also named the founding chair of the Blast Injury Institute of NABIS. 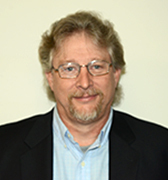 Mr. Zorn has over 15 years of experience in Traffic and Transportation Engineering. Much of his experience was acquired during his 10 years of work as Supervising Traffic Engineer for the City of Houston. 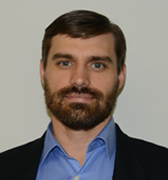 Chad has been involved in numerous traffic studies and traffic signal design. He has participated in intersection reconstruction projects and has developed alternative intersection/access management solutions. He has managed a variety of Traffic CIP projects, doing work in both the design and construction phases. Mr. Zorn has also managed multiple Council District Service Fund projects for the City of Houston and Houston Public Works.